According to statistics, two out of every three children in church homes walk away from the Christian faith. Approximately 85% of children who abandon their faith do so by the time they leave high school. The world and its false philosophies are influencing the church, and in particular, the children in the church. Did you know that a child largely develops their worldview by the age of 13? Through secular media, programming, textbooks, museums, and peers, even Christian kids are prone to false influences, especially when they haven’t been taught to defend their faith. Twelve Stones Christian Academy wants to curb that trend by combining apologetics, logic, and critical-thinking courses with an excellent Christian education. We are training the next generation to understand that the Bible is true and enabling them to defend that truth. Furthermore, our students will be well prepared to enter vocations, missions, ministry, and colleges or universities upon graduation from TSCA. Each family that has at least one student enrolled in TSCA will receive a one-year family pass (for immediate family members) to both the Creation Museum and the Ark Encounter. 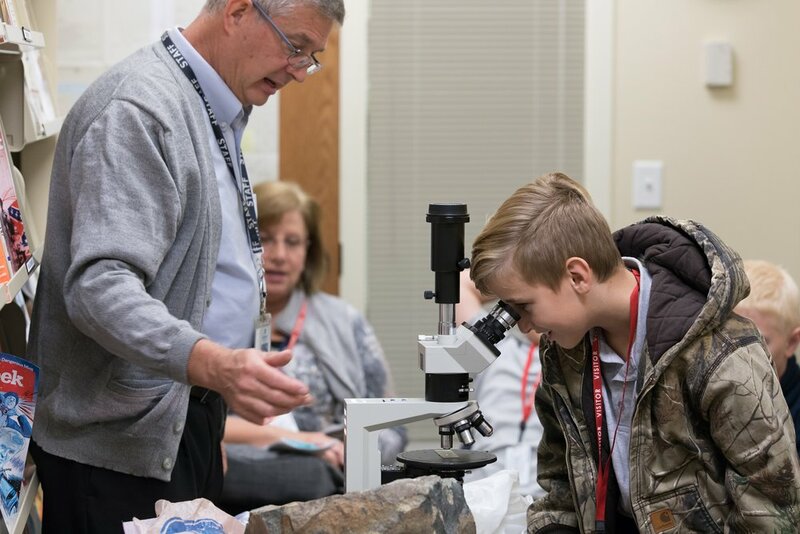 Teachers will be able to use resources at Answers in Genesis and the Creation Museum like the planetarium, observatory, and microscopes, as well as other opportunities such as workshops with scientific experts. Specialized STEM training from Camp Infinity. Dr. Andrew Snelling (geologist) teaching on rocks and minerals.